//	Samsung Galaxy Note 6 vs. Galaxy Note 5 vs. Galaxy Note 4 – Should You Wait? 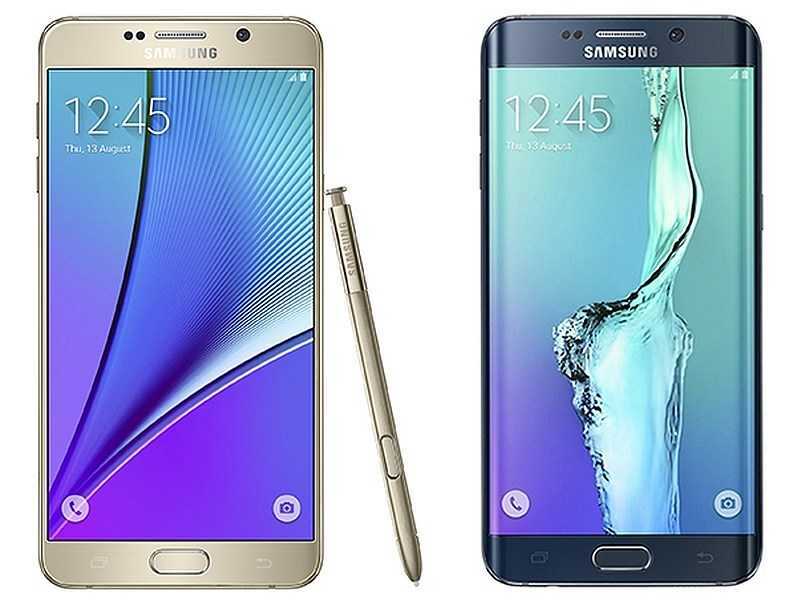 Samsung Galaxy Note 6 vs. Galaxy Note 5 vs. Galaxy Note 4 – Should You Wait? Samsung Galaxy Note 6 (or Note 7 as some rumors claim) is expected to be announced in the first week of August and go on sale two weeks later. The handset will be the successor to last year’s Galaxy Note 5, which is still one of the most powerful smartphones you can buy in the current handset market. While there are some huge changes expected to take place, most of them will be happening under the hood, just like with the case of Samsung Galaxy S7. The main changes happened last year when Samsung changed the design material used on the Note 4 with respect to the Note 5, but there were some features present on the former that went missing on the latter but are expected to be back on the new Note 6. So, how do these three phones – Samsung Galaxy Note 6, Galaxy Note 5 and Galaxy Note 4 – compare against each other? Samsung Galaxy Note 4 is slightly taller than the Galaxy Note 5, measuring 153.5 mm against the latter’s 153.2mm. The 2014 phablet is still thicker than the 2015 model with its 8.5mm against 7.6mm on the Note 5. It gets even better for the Note 5 as it weighs 5g less than the Note 4 with its 171g. As for the S Pen stylus, you will find it on the two handsets. While the Galaxy Note 4 comes in plastic and a metal frame running around it, the Galaxy Note 5 gets rid of plastic and instead features a combination of glass and metal, giving it a more premium look than its counterpart. Samsung Galaxy Note 6 is expected to maintain this glass and metal design, similar to what the Galaxy S7 did. In addition, IP68 water and dust resistance will be back with this year’s Note. Just like previous Galaxy Note devices, the Note 6 will not leave behind the S Pen stylus, but it is destined to get some nifty touches here and there to better its functionality. There are rumors that Samsung Galaxy Note 6 will include an iris scanner alongside a fingerprint scanner. This will be a huge improvement as the other two only offer a fingerprint scanner. As for the display, the only notable change the Galaxy Note 5 made from the Note 4 was shifting to Corning’s Gorilla Glass 4 instead of Gorilla Glass 3 used in the latter. Everything else remains the same, with the screen size standing at 5.7 inches with a QHD resolution and 515ppi pixel density. On the other hand, current reports suggest that the new Samsung Galaxy Note 6 will sport a slightly larger screen size of 5.8 inches, but keep the same QHD resolution. As a result of the screen size change, the pixel density might slightly shift downwards to around 501ppi, which won’t be noticeable to the naked eye. There are also some reports adding that there is a possible Samsung Galaxy Note 6 Edge in the making, but this cannot be confirmed in any case. The Galaxy Note series has been receiving incremental updates over the years and if this is the case, the same will be happening this year. The Galaxy Note 4 came in with some huge changes, being the first to be powered by 3GB RAM. It is powered by a quad-core processor and has expandable onboard storage of 32GB. To keep the huge screen on is a removable 3220mAh battery unit, which was later reduced by the Galaxy Note 5 to just 3000mAh, which is also non-removable. 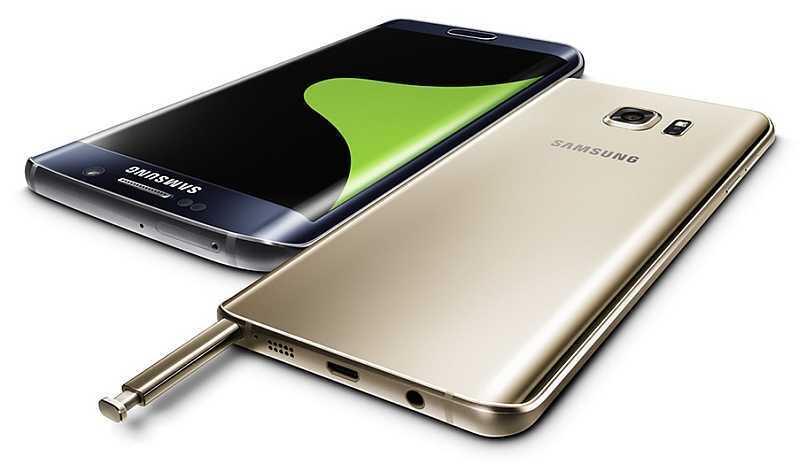 In addition, Samsung Galaxy Note 5 also shifted to an octa-core processor and increased the RAM to 4GB. As for the storage options, the phone came with 32GB and 64GB variants thanks to the fact that it offers no expandable storage. It is hard to tell what Samsung Galaxy Note 6 will pack under the hood. However, based on the rumors, the phone is expected to be a massive step up. Reports are pointing towards the same Snapdragon/Exynos SoC used in the Galaxy S7, but with better RAM options of 6GB and probably 8GB. As for the storage options, expect the microSD card to make its way back to the Note series, with onboard storage options that could go up to 256GB. To keep the huge screen powered will be a 4000mAh non-removable battery unit, which will also be charged via a USB Type-C port as opposed to the microUSB port used on both the Galaxy Note 5 and Note 4. Samsung made some huge changes in the camera department with respect to the Galaxy S7. These are expected to come to the Note 6 when it is released, but even in a much better capacity. There are reports of a 12MP DualPixel snapper on the rear with Super OIS Plus on board, however, there are no details on the selfie camera. But given that the Galaxy Note 5 stuck with the same camera specs as the Galaxy S6, which are 16MP on the rear and 5MP on the front, it is possible that the upcoming Note 6 will stick to what was offered on the S7 and S7 Edge. With Samsung Galaxy Note 4 being the oldest, it lags behind with its 3.7MP selfie sensor, but it has some real power in its 16MP rear camera, for instance, the ability to shoot 4K videos. Based on the rumors, Samsung Galaxy Note 6 will be a major upgrade in almost every aspect apart from the design language, but this is comparable to the Note 5. There are some real differences between the Note 5 and the Note 4 and the same is going to happen with the Note 6 when compared to the 2014 phablet.